On the 4 and 5 of September 2014, Newport welcomes world leaders (including President Obama) for the NATO Summit. There is a possibility that the leaders may dine at Cardiff Castle. 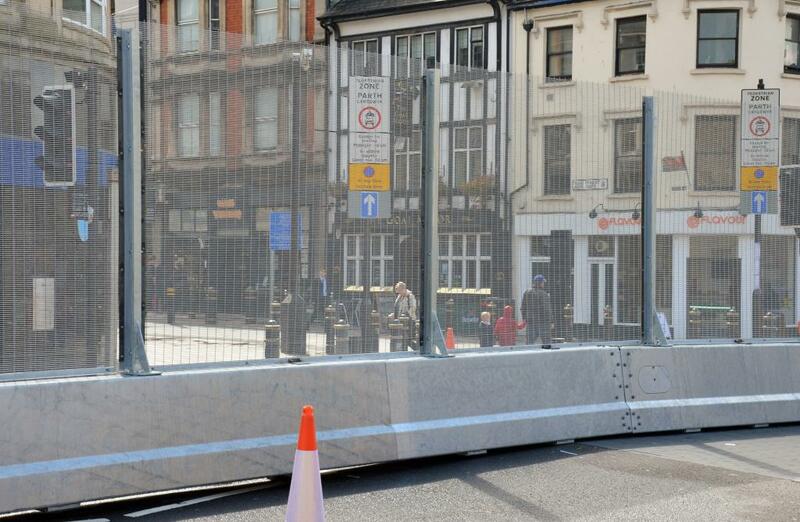 For this reason a precautionary “Security Fence” – referred to locally as “The Ring of Steel” – has been erected around part of the city. Our city is under siege! Or is it? Anyone approaching from the north would be forgiven for thinking they were entering a militarised zone or a low-security prison rather than one of the richest cultural locations in Wales. 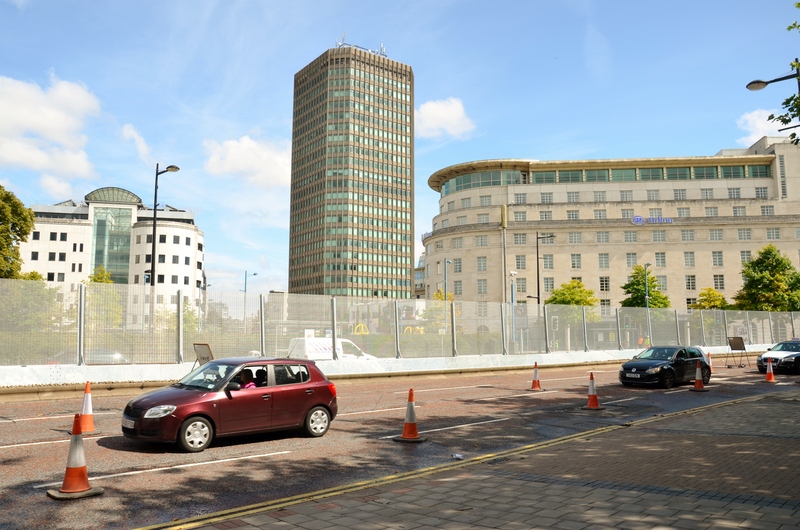 The construction of the fence, some three weeks before the summit itself, has already caused traffic chaos and has resulted in bus stop closures, delays and detours to public transport routes. Cardiff Council is recommending drivers use public transport for the coming weeks while also promising long delays on all inter-city bus routes. Great news all round. 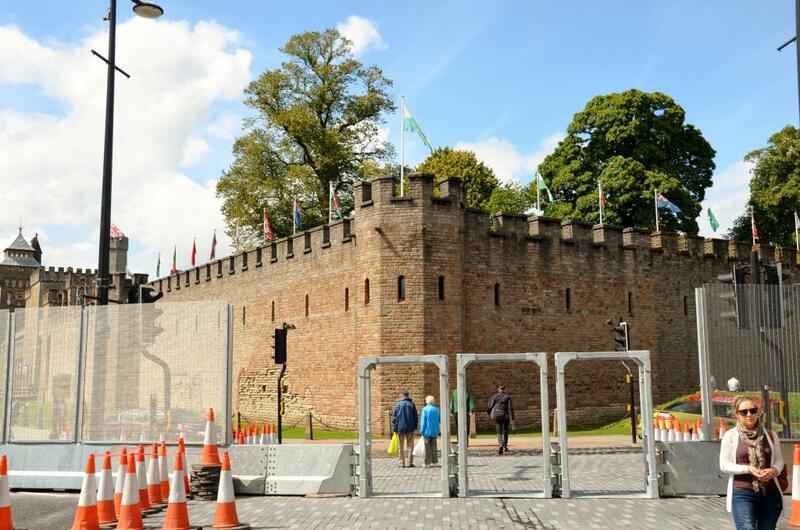 Encircling Cardiff Castle and the Royal Welsh College of Music and Drama, running from North Road, through Duke Street and into Bute Park, the eight-foot-high ribbon of metal has transformed our city from a vibrant, beautiful place into something resembling a vast internment camp. 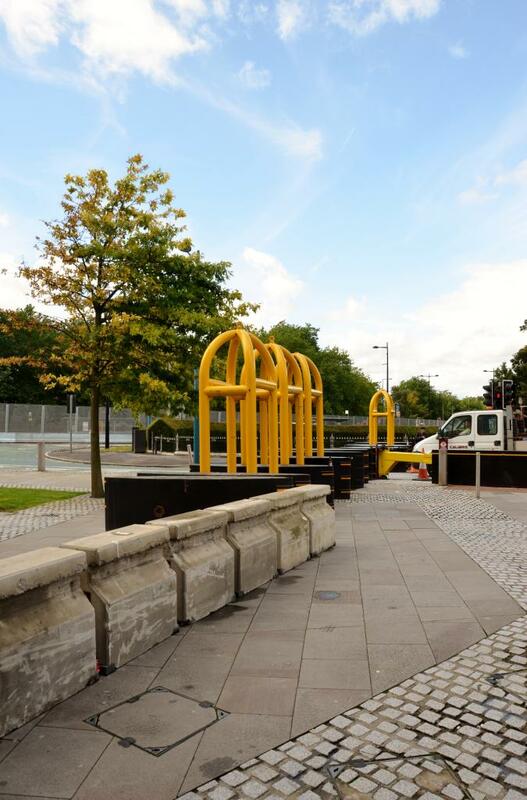 Also, dotted throughout the City Centre, are large yellow “checkpoints” that will most likely be manned by police in early September. One wonders what exactly the cost of such a project must be. And who is picking up the tab? 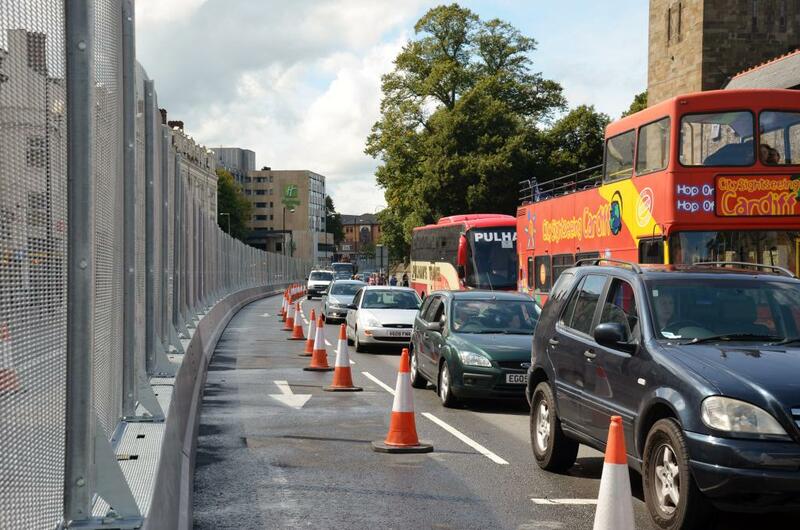 At the moment traffic is able – save for delays – to flow freely alongside the fence, within its “containment area”. 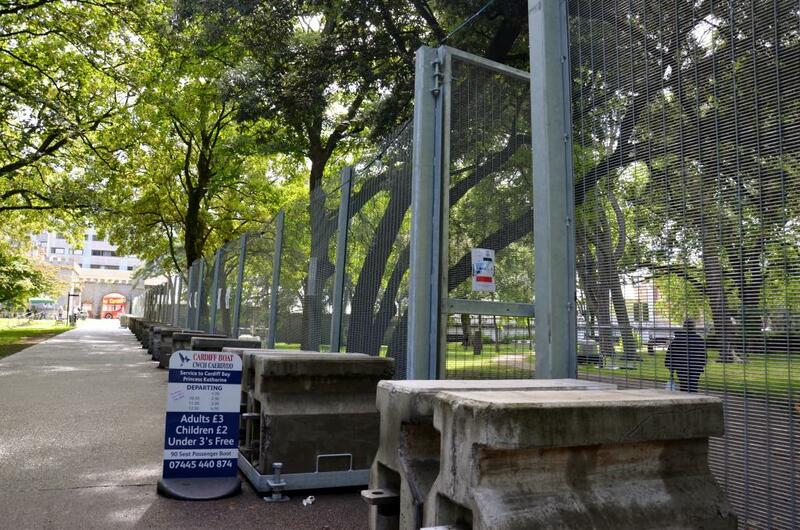 However, one again wonders whether the roads “inside” the fence will be a “no-go zone” by 4 September 2014. This imposing structure runs not only around Cardiff City Centre but also along the perimeter of the Celtic Manor Resort, the venue for the NATO Summit. Even here, it is ugly, though it likely will not have as much of an impact as it surely will in Cardiff, on tourism, local businesses and public transport. While, to me, there is a nervous beauty to man-made structures dumped inexplicably into a beautifully natural landscape, I don’t think anyone could offer a valid defence of such a monstrosity as this fence snaking its way through Bute Park’s breath-taking wooded walkways. Is there any need for this to be built? Should the public be disrupted to such a degree on the off-chance Obama decides to pop into town for a snack? 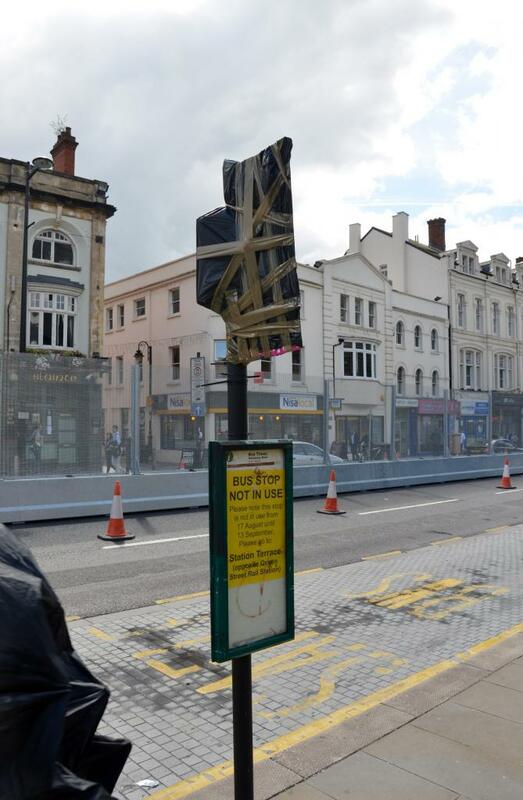 And just how much of an effect will this hideous construct have on the local economy? I suppose only time will tell. Photographs and Words by Gareth Bundy @gabundy.